Featuring: Living Colour. Also Included Living Colour, Janet Gardner, Quiet Riot, Lynch Mob, Jackyl, Projected, Seven Day Sleep, Every Mother's Nightmare, Wes Geer, Gemini Syndrome, Slayer, In This Moment, Greta Van Fleet and Much More. Quiet Riot is back and creating a lot of noise! With the recent release of their 13th studio album Road Rage and the addition of frontman James Durbin, Quiet Riot maintains their signature sound with a fresh curve to deliver above and beyond everyone’s expectations, being dubbed as one of the best records they have done in a long time. Think back to 1992. Many bands made their debut around that time. Now think about how many of them are still together. Or how many haven’t broken up for a length of time and perhaps gotten back together and barely resemble the old band, with perhaps only one or two original members. Very few have stood the test of time. Vixen vocalist Janet Gardner strays from the sound that brought her global fame with a new solo album that throws fists into several eras and genres from the ‘70s to the ‘90s and grunge to industrial while keeping her hard rock, big hair, stilettoed roots. Alongside husband Justin James, Gardner weaves magical webs like a black widow waiting to bite. “Really hot. Really packed. And really historic.” If this was a contest to describe Greta Van Fleet’s gig at The Viper Room in ten words or less…well, there you have it. Fortunately, we’ve got a lot more words; around five hundred, to be exact. So let’s get to it. July 25th, 2017 marked Greta Van Fleet’s Hollywood coming out party. KING PARROT premiere new song "Disgrace Yourself!" Amaranthe Release "Maximize" Video — WATCH! LaRissa Vienna and the Strange Releases Official Music Video for "Haunted"! ALTER BRIDGE Release Live Audio Of "Metalingus"
With three more weeks to go until ALTER BRIDGE's long awaited album Live at the O2 Arena + Rarities (out on September 8th worldwide via Napalm Records) will finally be released, the band has released another live track from the upcoming 3-disc collection. The live version of one of the band’s most popular tracks, “Metalingus,” is available online here: https://youtu.be/8njyQjRfB1E. 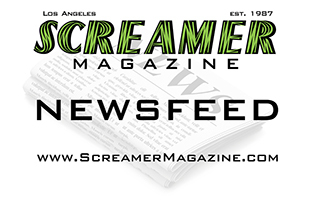 GRAVE PLEASURES Launch New Single, "Be My Hiroshima"
SEETHER Releases New Music Video for "Betray and Degrade"
KINGS AND LIARS premiere "Recently Departed"
Uncle Acid And The Deadbeats Vol 1, Releases Oct. 13th! Jonny Lang’s brand new studio album, Signs, will be released in North America on September 8th via SayRai / Concord Records. The album (his sixth major label release) is his first in four years. The European release for Signs will be on August 25 via Provogue Records / Mascot Label Group. The new album is available to pre-order here: http://amazon.com/dp/B071FPWNS6. IN THIS MOMENT "Ritual" Debuts Big! COMEBACK KID - Release Brand New Song, "Surrender Control" + Video Available! Skeletons in the Closet, the debut solo album from renowned guitarist and producer, BOB KULICK, Arrives September 15th! Photos - THE DEAD DAISIES Live! w/Special Guests The Dives CLICK HERE to read a review of the show. Photos - SLAYER - Repentless in Columbus CLICK HERE to read a review of the show. Photos - IN THIS MOMENT - Headlines Ink in the Clink Day 1 CLICK HERE to read a review of the show. Photos - Ink in the Clink Day 1 - feat. OTHERWISE & UNSAID FATE CLICK HERE to read a review of the show. Photos - GRETA VAN FLEET Live! - The Viper Room CLICK HERE to read a review of the show. 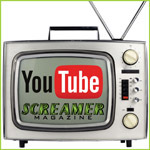 Screamer Magazine, in conjunction with The Dead Daisies are pleased to announce the winners of our Concert Tickets and Meet & Greet Giveaway! Congratulations to Adina Durant, Andrew Reinjohn, Rox Lee and Kai Buskirk, each will receive a pair of tickets to see The Dead Daisies live Friday, August 25, 2017 at the historic El Rey Theatre in Los Angeles. Experimental Alternative Rock Band, SEA IN THE SKY Announce Debut Full Length "Everything All At Once"
TIGER ARMY Release New Video " Dark and Lonely Night"
RADIO MOSCOW Reveal Lyric Video For Debut Single, "New Beginning"
X Launches Kickstarter to Release "X! Live in Latin America"